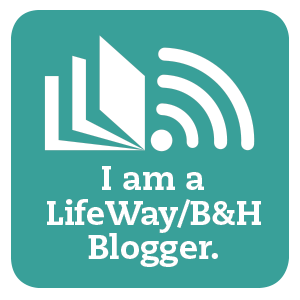 The Faithful Homeschool: Any questions? Company headed down the road this morning. Our house seems quiet and somewhat less than whole now that they are gone! Time to re-coup and get back into daily life. I am going to start in on my boxes of curriculum prospects now. I am considering combining a few spelling programs I have for my kids this year. I'm still debating how we will tackle math. 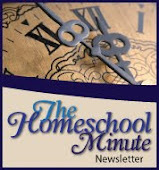 My question for you, the followers of this blog, is: Do you have any facets of ADHD, Dyslexia, Dysgraphia, or Auditory Processing Delay that you would like more insight on as you prepare for your homeschooling year? Please let me know and I will do what I can. Labels: any questions on ADHD, Dysgraphia, dyslexia, just rambling, or Auditory Processing Delay (APD)? Hi I just came over to visit from Kerugma Posts. I'll call back soon to have a better look around as it is 8am Monday here and time to get moving!I would any appreciate info on the Auditory Processing delay. that is what my boys , 10 and 11, have been diagnosed with. We are getting help with resources from the Distance Ed school we are registered though (Queensland, Australia) and have had a couple of Speech Pathology sessions. I find after many years of home schooling, this is taking a lot out of me. Would be good to hear from some one who is dealing with the same as none of my H/S friends have had this particular struggle. APD, as you well know by now, is a challenge. It requires us parents to look at our children a bit differently, to love them through their gift and find the wonder and blessings in what otherwise might be a difficult [dis]ability. I HIGHLY recomend the book, "When the Brain Can't Hear" by Teri James Bellis, PH.D. Amazon.com sells it for $10.98 u.s. dollars. It provides the most knowledge I have gained anywhere on APD and is currently the only book of its kind. It also provides some at-home strategies for families to use. I am trying to find a good (free) file sharing site so I can post a slide show I have. It is an overview of APD, the different types, and what to expect in managing this gift. If you have Powerpoint (viewer or full version) let me know and I can email you this file... until I can find a way to post it on my blog! My son's APD is accompanied by Dyslexia. Do your children struggle with that as well? I have a post in the works on the complexities of Dyslexia. If you aren't sure if your children have this, you may be on the look out. 75% of children with APD also have dyslexia. Symptoms aren't always as obvious as most people have traditionally thought.